Tori auditions for a role in a movie. But after exaggerating on her resume, she gets hired as a stunt double. When Tori finds out her stunt is falling off a building, she’s not sure she can do it. When Principal Eikner leaves Hollywood Arts, the school hires a new principal who makes all the students re-audition in order to keep their spots. Who will get kicked out? 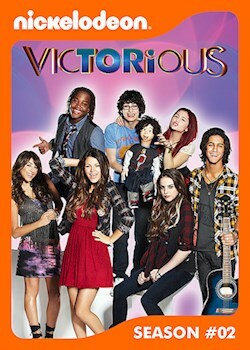 The kids try to free Tori from prison, but end up imprisoning themselves in the process. The Chancellor grants Tori and her friends one prison performance, but will it be good enough to free them? Tori is excited when she gets cast as the lead in the school play, but she has to deal with her very unhappy understudy…Jade. Tori has to avoid Jade’s constant sabotage so she can perform on opening night. The kids take Sikowitz to the theater to celebrate his ten-year teaching anniversary, but the play’s subject matter sends Sikowitz into a deep depression. Tori must cheer him up. Andre spends time with Jade working on a song and develops a crush on her. Tori tries to help him get over his crush, but nothing seems to work, and Andre has trouble keeping his feelings a secret. Trina stars in Tori’s directorial debut, and there is a big accident on opening night. Lane wants to find out what went wrong. Everyone thinks it was an equipment malfunction, but maybe it's sabotage. Tori has to be Trina’s assistant for a month. The only way Trina will call off the bet is if Tori wins a private Ke$ha concert. Tori’s friends try to save Tori and hopefully score a Ke$ha concert! The kids have to build a float fast. The only have a night to drive the float to the parade. When the float breaks down in a bad neighborhood, can the kids recover and save their chance to be on TV? Christopher Cane, the actor who plays Rex, is our host for an in-depth look into the stars of Victorious and their hilarious bloopers/outtakes.